Open to girls and boys 15 years and younger on a shortened 9 hole course! The format of play is called Ambrose and we play it in pairs. Its pretty simple, Pick a cool team name and off you go! 1. Start each hole by playing off the purple course, both players get a chance to hit the first shot and tee off! 2. Choose the ball which you feel is in the best position! 3. Using this one ball, alternate turns taking shots until you putt the ball in the hole. Simple! We encourage caregivers to caddy and join players on course! The length of the course is shortened to suit young golfers. This format creates a fun, low pressure environment to play and learn together! There’s lots of fun to be had on the day, on the course and in the clubhouse for the whole family. Join Maxwells Golf Club on 28th October at 13:00pm for our first team golf event! For more information please contact kaye@maxwellsgolf.co.nz or simply register here! Members and Visitors welcome! Set in a very beautiful part of the Franklin countryside, Kaye has since transformed the farm into the stunning 9 hole boutique golf retreat that it is today! Maxwell's Golf Retreat is situated only 30 minutes south of Auckland City on the Northern slopes of the Bombay Hills. It offers a peaceful setting at the end of a country lane with views out over the countryside. The Clubhouse is the hub of the property offering a friendly non threatening environment with coaching, indoor training facilities, fully stocked Pro Shop, Cafe, Bar, Conference and function facilities. Bed & Breakfast accommodation is available right next door.  The nine hole golf course is a challenge for all - with championship tee's through to beginners tee's and is affiliated to NZ Golf for women and men offering 9 or 18 hole handicaps. Offers people the chance to have fun with golf and forget the rules for a while while feeling and hearing the countryside. Our beautiful Clubhouse includes an Indoor Training Complex, Corporate facility and lovely lounges looking out over the countryside. Extensive decks with sails give the ultimate indoor outdoor flow and full bar and catering facilities are available for before or after golf refreshments. Perfect for small functions and special occasion! Full catering services available to meet your needs. Fully affiliated for women and men. The challenging layout includes holes ranging in length. 150m, 170m, 173m, 158m, 135m, 127m, 233m, 150m, 98m. Lakes and creeks are included in this picturesque golf course - to catch the offline shots. Short game practice area is available in the lovely gardens surrounding the clubhouse. Separate putting green also available. 16m long with very high stud. Fully netted and equipped with 4 bays, indoor putting green and chipping facility. A great place to get your swing grooved. closed on Mondays except for long weekends.